For his April Terraza 7 event titled ‘Kiravani and World Rhythms’, Prasanna brings a powerhouse band of musicians hailing from India, Greece, Brazil, Suriname and Colombia to create an intoxicating array of rhythms that take the listener on a journey that is melodically blended with the sweetness of Carnatic Ragas. 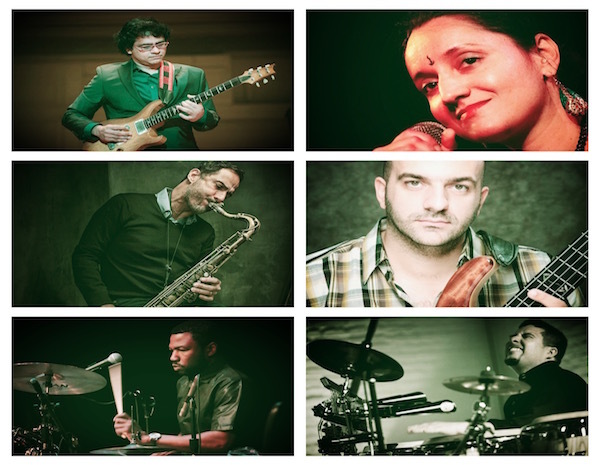 Taking on the Raga Kiravani as a central theme of the concert, the Vocalist Shalini and Prasanna will set up melodic dialogues with saxophonist Zé Luis and bassist Panagiotis Andreou while Harvey Wirht and Samuel Torres bring in their infectious rhythms to the mix. No Replies to "Kiravani and World Rhythms"